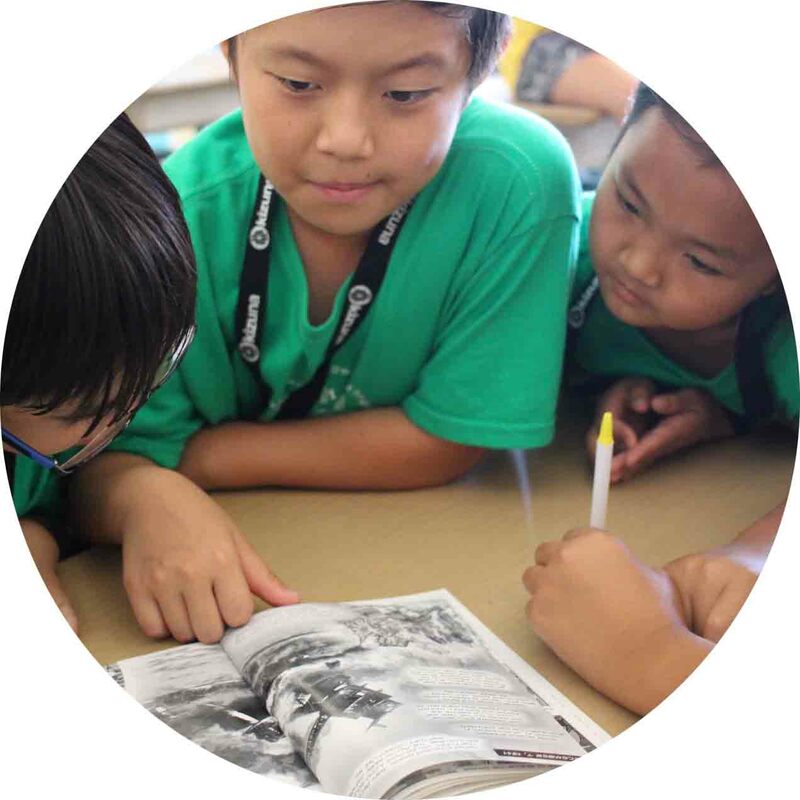 Kizuna's Summer Camp is a local program for students entering 2nd to 8th grade, centered on building a foundation of Japanese American culture & heritage. 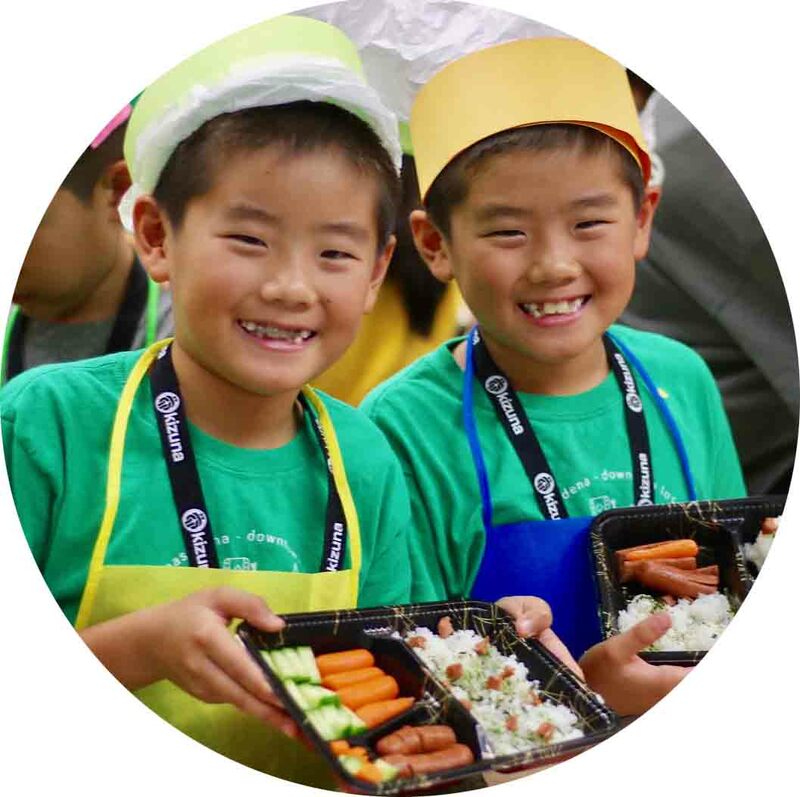 Our camp is a high caliber program: our counselors are carefully vetted and rigorously trained and have workshops optimized for passing on the Japanese American tradition. CLICK ON THE LOCATION BUTTON YOU WISH TO REGISTER FOR! 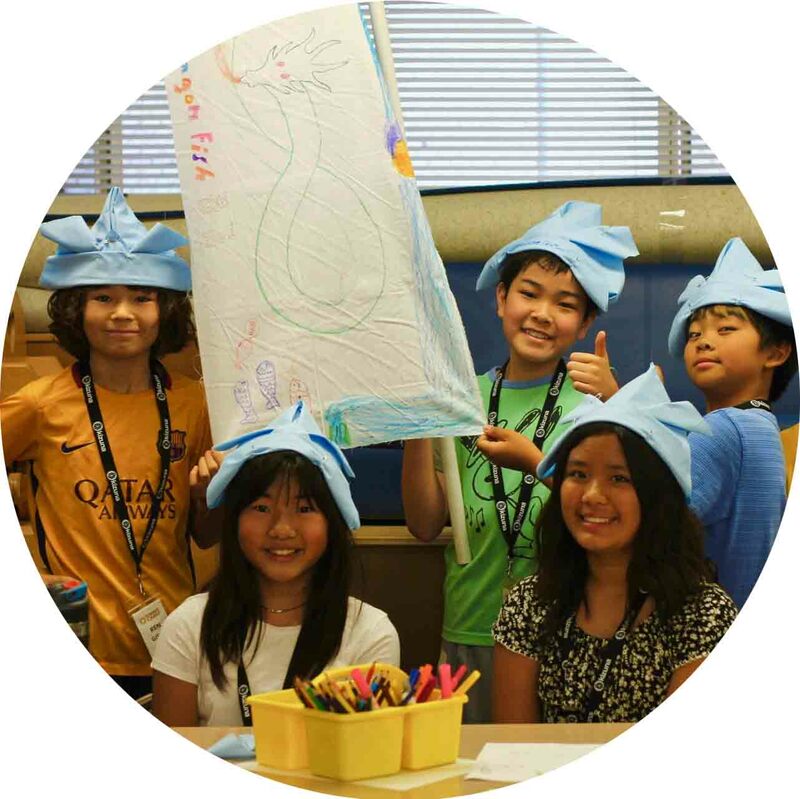 Please contact Hideki at Hideki@gokizuna.org for questions regarding Summer Camp. Summer Camp is a fun and exciting way for your kids to learn about their culture and heritage. We pride ourselves on creating a program that our campers will remember. Example activities include: mochitsuki, Japanese calligraphy, family oral histories, Japanese American values, book readings and much more. Just register more than one person at a time to get a group discount. It can be siblings, friends, family... anyone! Just register more than one person on the same form and the discount will be applied. Register before the April 30 early bird deadline and receive an additional discount for just signing up early.  Can be combined with group pricing for a double discount! Our best deal! Register more than one person at the same time before April 30! Register before April 30! Find a friend to get the even lower group price. Discount still available! Just register more than one person to get the group discount. Our staff cares A LOT about our campers. We guarantee that our staff will give everything they have to create a memorable and worthwhile experience for the your kids. We intend for our campers to remember Summer Camp forever. Most newcomers are curious about the workshops and activities that we host at camp. We'll provide some examples below to give you a sense of the topics that we cover and our teaching methodology. This workshop gives students the opportunity to make their very own bento boxes. Students make cute rice balls in the shape of panda bears. Their bentos were chopped full of rice, meat (hot dogs), veggies (carrots, cucumbers, and lettuce), and other garnishes. Oishii! - Knowledge of traditional Japanese American foods. - Critical thinking in how our culture, values, and even foods shape our behaviors. Our Kodomo no Hi workshop highlights the deeper meaning of one of the most iconic images of Children’s Day – the koinobori. The koi have become a major symbol of Children's Day because they demonstrate character traits we want our community's children to embody. - Increased awareness of Japanese American traditions. - Enhanced desires to redefine and shape our ever changing and dynamic culture. We cover the cultural value of kansha, which means to show appreciation or gratitude. Students learn about how they can be thankful for their parents through our "human tamagochi" game, where students do tasks for their counselors to simulate how parents care for their children. 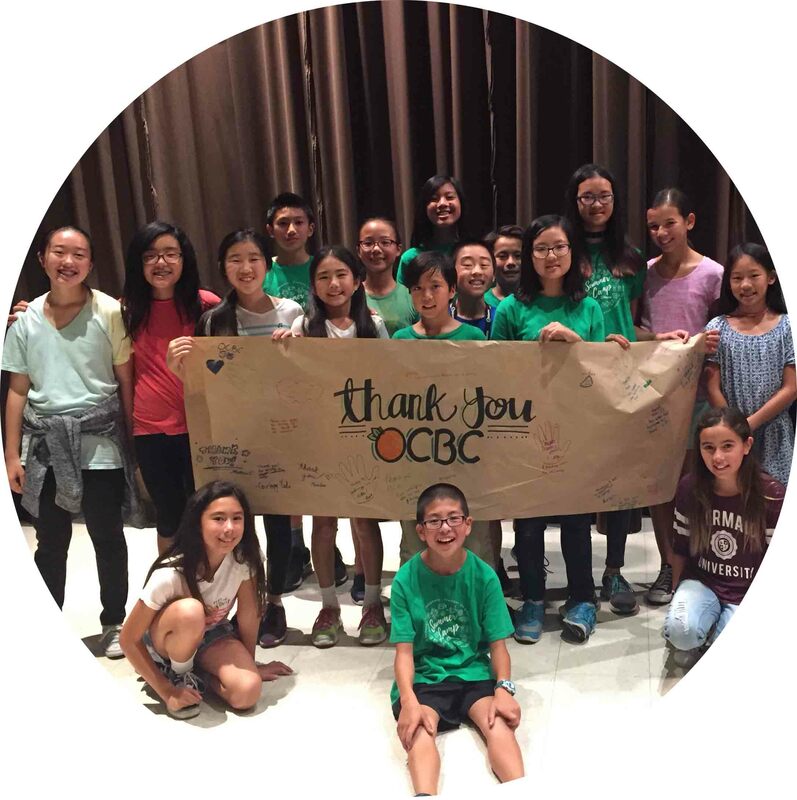 The activity culminates in a thank you mural we make for the community center, as an act of thankfulness for letting us use the facilities for our camp. - Increased awareness of cultural values and dynamics. - Critical thinking in how our communities, cultures, and values shape our behaviors. - Increased awareness of values in everyday life. A camp-wide festival where each team runs a carnival booth. Teams cover everything from learning all the preparation that goes into planning a matsuri carnival from the planning, to the preparation, to the execution of the event. 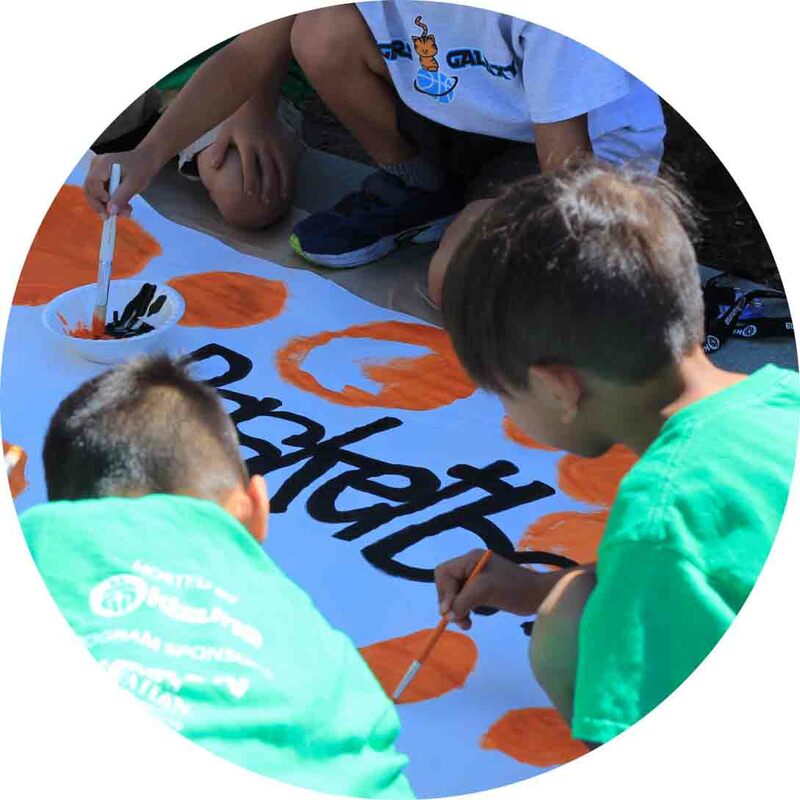 Students learn about the value of volunteering, and why it’s important to donate one’s time to local community events and efforts. - Increased awareness of cultural values and events. - Increased awareness of the importance of giving back to one's local community. Students learn about the incarceration camps that Japanese Americans were put into during World War II. This workshop is highly interactive, where students must complete a series of challenges and clues to “escape” from their unjust circumstances. Whether it is through historical photos, a geographic map of the continental United States during WWII, or through a historical book, all challenges engage the students' imaginations to learn more about this important epoch of American history. - Increased awareness of Japanese American history. - Learn to pass on and preserve the history of the incarceration of Japanese Americans. - Appreciation of the hardships of older generations. Kizuna's staff training modules are conducted to build a safe, exciting, and learning environment for your child. Our training is an annually held certification program curated and facilitated by Kizuna staff. Here is a sneak peak on what we require and cover with our counselors before the start of any Summer Camp Program. All of our counselors are required to go through a California Department of Justice level background check and fingerprinting service to ensure that our counselors will create a safe and healthy environment.